Live stream of Iranian Resistance’s #Nowruz ceremony. 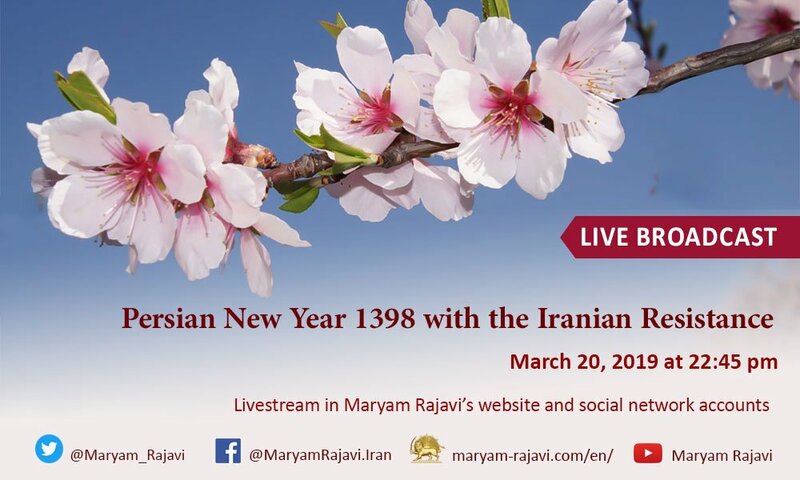 #Nowruz Celebration With the Iranian Resistance Happy #Nowruz ! Join the #PersianNewYear feast with #Iran’s main opposition. Celebrate the coming triumph of liberty and spring over the winter and darkness of the ruling dictatorship in #Iran.